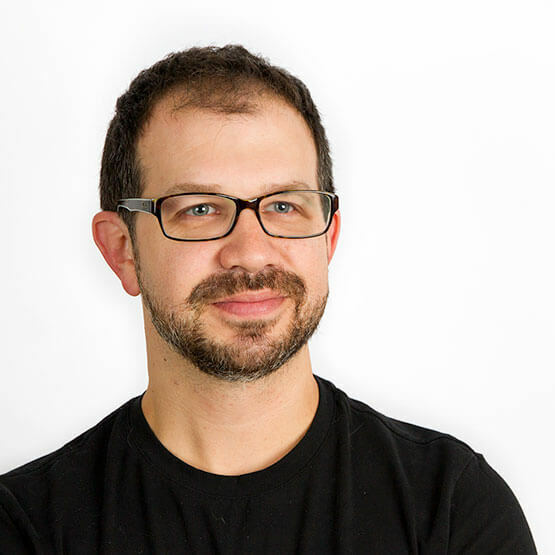 John was traditionally trained in print and is self-taught as an interactive designer, and has worked across multiple mediums, helping to solve problems and grow businesses using intelligent collaboration, creativity, and innovation. With experience in everything from design and photography direction to social media campaigns and responsive websites, he brings versatile expertise to every project. He’s passionate about good typography and never turns down a Photoshop challenge. John attended the College of Design, Architecture, Art and Planning (DAAP) at the University of Cincinnati. He’s had the opportunity to work at: Exhibitgroup/Giltspur, D3, Inc., Walmart.com, FS Creations, POSSIBLE, and now TiER1. He’s also a current AIGA member and volunteers every year as a designer and UI/UX resource for the Southwest Ohio GiveCamp. You might find John riding his scooter in his spare time. He runs on sugar, cartoons and design. He has a wonderful wife, Nicole, and two cats, Elsa and Hans Gruber. He lives for Photoshop and good metal playlists for the gym.